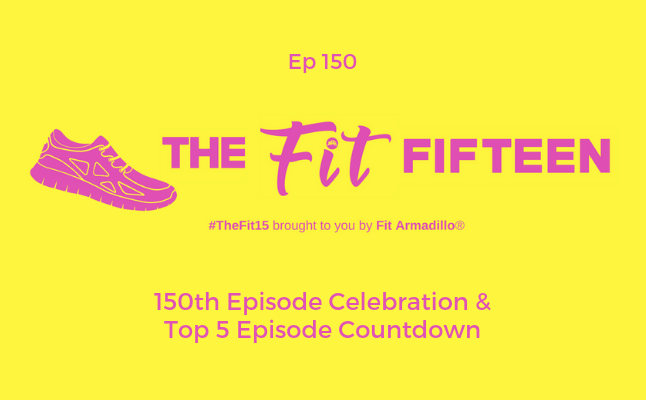 Celebrate 150 episodes of The Fit Fifteen podcast show and make sure you haven't missed the top 5 most downloaded episodes this season. This episode will be the last of 2018, but I invite you to follow Fit Armadillo for a fun December fitness challenge that will start on Monday, December 10th so to keep your fitness motivation during the holidays. To share podcast guest and topic requests be sure to email the show: Podcast@FitArmadillo.com. Help keep the show ad free in 2019 by becoming a supporter HERE. Any amount is greatly appreciated, but the 1st five to pledge $25 will get a signed hardback copy of my book, Superwomen Secrets Revealed.